We are providing our esteemed clients with excellent quality of Bed Maker. - It has heavy duty 59 sq. box type frame. - Ridge depth & size can be adjusted. Based on the skills of our adroit professionals and creative workers, we bring forth an extensive range of Bund Former. Owing to features like durability and easy installation, the offered range is extensively demanded in the market. 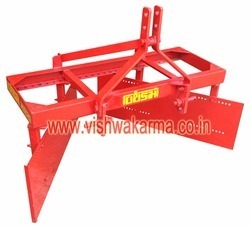 Disc bund maker being a hydraulically operated basic implement for the preparation of land. 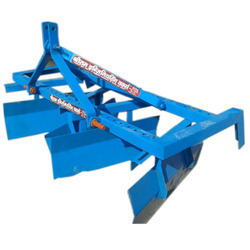 The bund maker consists of mild steel angle iron frame, hitch system, and two discs. It makes bunds for efficient use of irrigation water. The discs and discs angle are adjustable along with the frame to vary bund width and bund height. Bund Maker. The are manufactured keeping in mind the requirements of the clients. These Bund Maker are very simple and easy to operate and provide smooth performance level. We offer a wide range of Bund Farmer to our clients. Offering different varieties of Bund Farmer. Made of using high quality raw material . Our clients can avail these at market leading prices.